Maas Companies of Rochester, MN will auction the110 MGY Partially Completed Ethanol Plant on Wednesday, October 28, 2009 at 10 AM in Carleton, Nebraska. CARLETON, NEBRASKA September 14, 2009. Maas Companies of Rochester, MN will auction the110 MGY Partially Completed Ethanol Plant on Wednesday, October 28, 2009 at 10 AM in Carleton, Nebraska. The auction will be held on-site at 2182 Road 5600. Altra Nebraska, LLC began construction of this facility in 2006 and work halted in November of 2007 when additional financing could not be obtained due to unseen economic challenges. 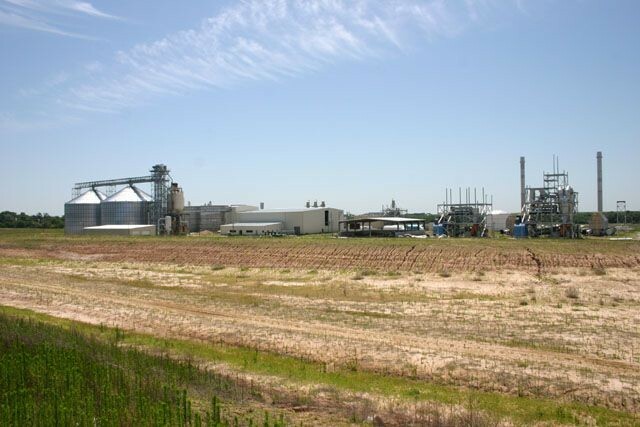 The plant was expected to be one of Nebraska’s largest ethanol plants employing over 50 persons and utilizing over 36 million bushels of corn for feedstock. The liquidation of the assets comes as part of the Chapter 11 filing last month. The auction process will offer the plant as an entirety for buyers up to two weeks prior to auction day. Potential buyers are encouraged to explore this option in a timely manner and submit their bids prior to October 13 at 5:00 pm. After this date, the property will be sold at auction in a piecemeal manner. The auction manner of sale will include offering all real estate as one tract and the equipment or equipment lots individually. The auction will offer buyers the option of bidding on-site or live via the internet. Details of the sale are available at the auction website, maascompanies.com or by contacting the auction company directly at 507-285-1444.